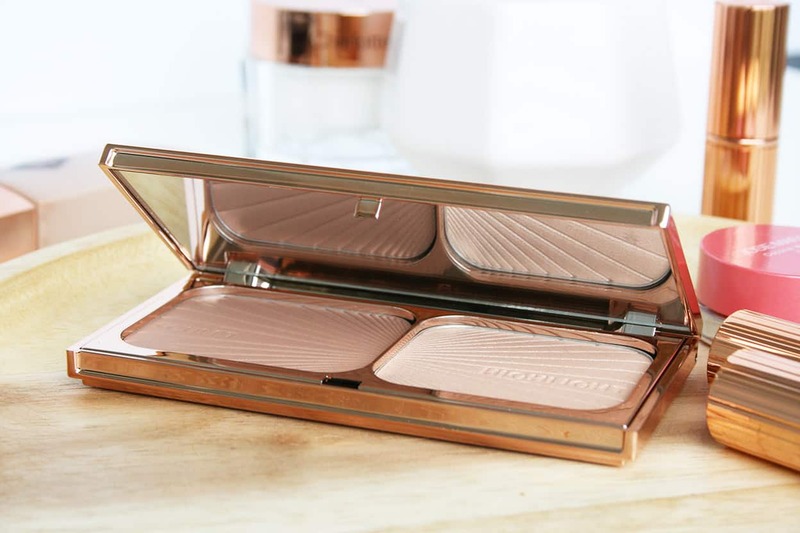 If you’re into the dewy look, you’ll want to hear all about this. 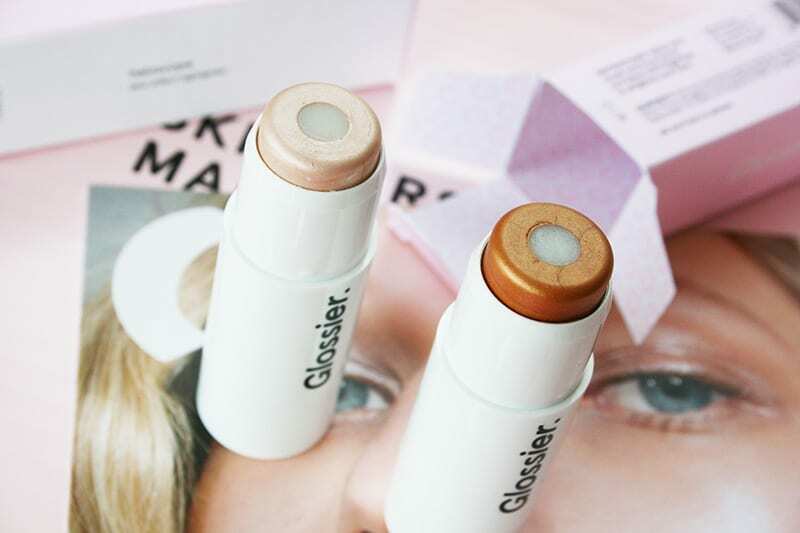 Cruelty-free skincare and makeup brand Glossier recently came out with a brand new highlighter, and get this: it’s infused with real crystals! 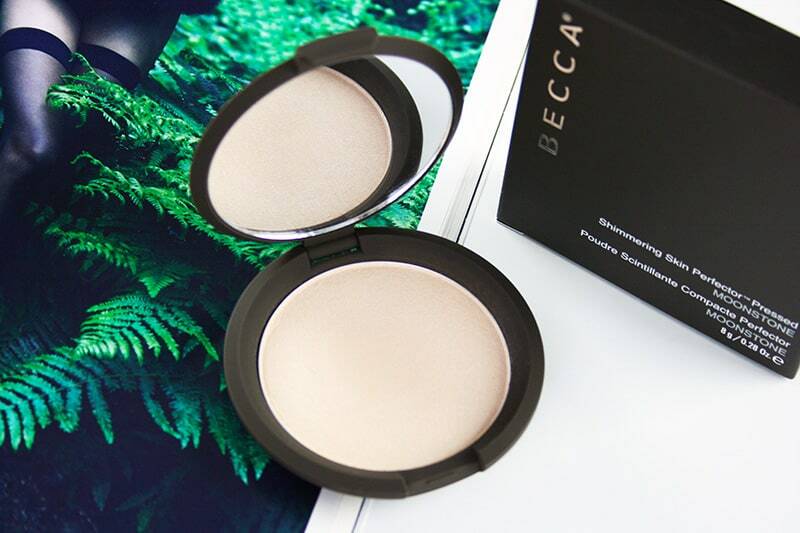 It’s the Haloscope Highlighter ($22) and it’s available in 2 shades: Quartz and Topaz. These should suit almost every skintone. 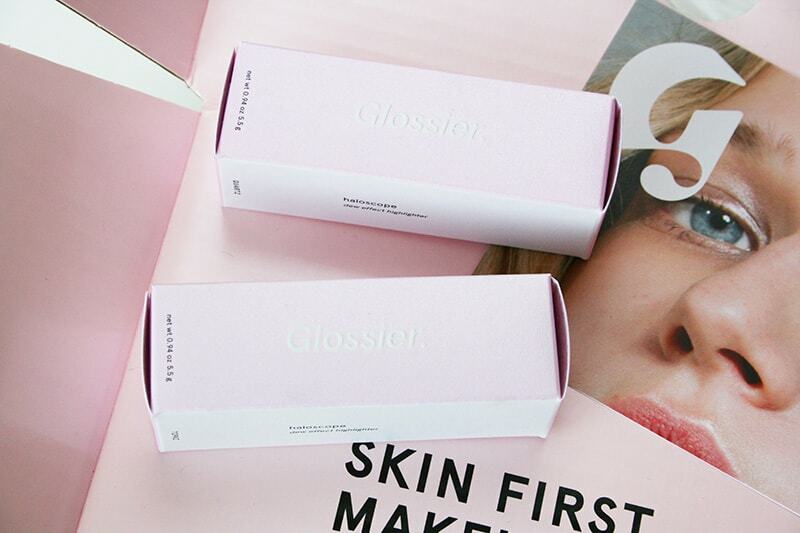 I can’t mention Glossier without talking about their amazing branding! Their packaging is fab, and they know how to brighten your day. Their positive motto (above) pops up as soon as you open the box, and how cute is the 3-eyed smiley face? Look at it!!! There’s some good stuff in these highlighters. Some of the main ingredients are Castor Seed Oil, Coconut Oil, and Sweet Almond Oil. There’s no parabens or fragrance. Unfortunately these highlighters are not vegan, as they both contain Beeswax. The shade Quartz also uses Carmine as a pigment. They also contain real crystals as part of the ingredients list. Quartz contains real quartz, and Topaz contains real topaz. These are super creamy and blend like a dream. The center of the stick is what mainly provides a lot of moisture, with the “solid oil core”. They’re really hydrating but also pigmented and glowy. I was surprised at how smooth and easy these are to use. You swipe them over your cheekbones and highlight areas, and blend out the product with your fingers. They become one with your skin, and the finish is a beautiful sheen that is not glittery at all. 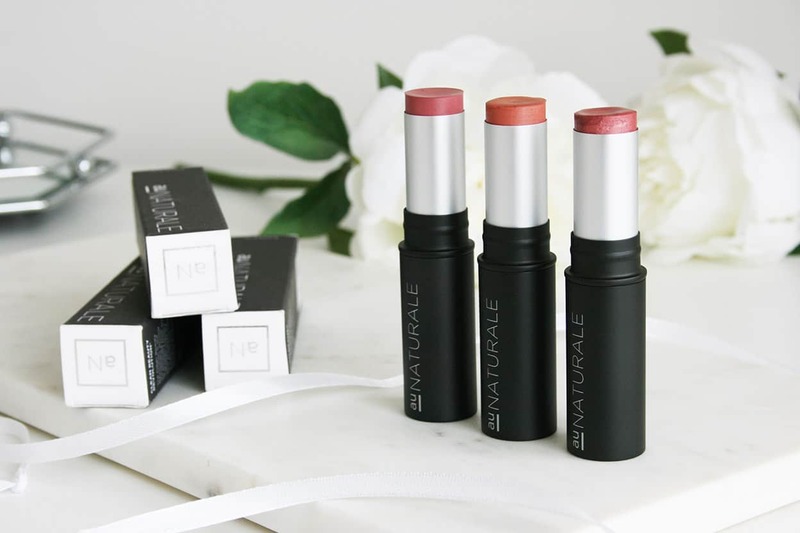 Here are swatches on pale skin with warm undertones. 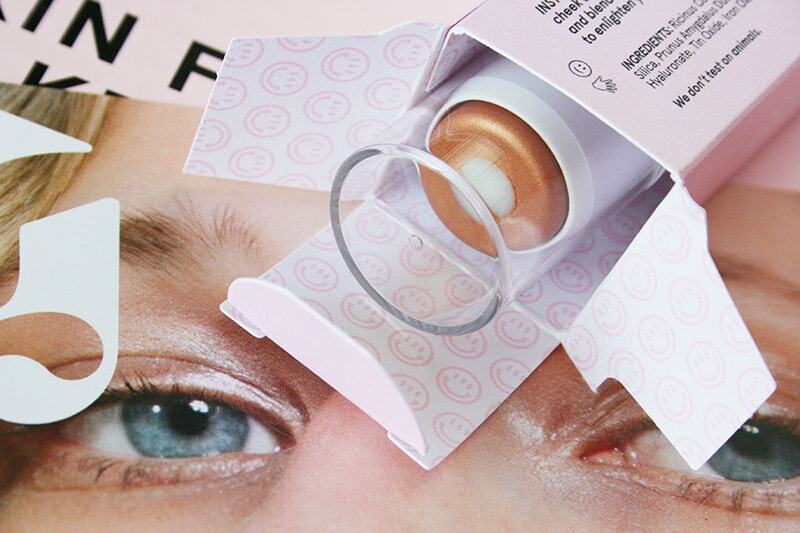 Two thumbs up for the Glossier Haloscope Highlighter ($22). 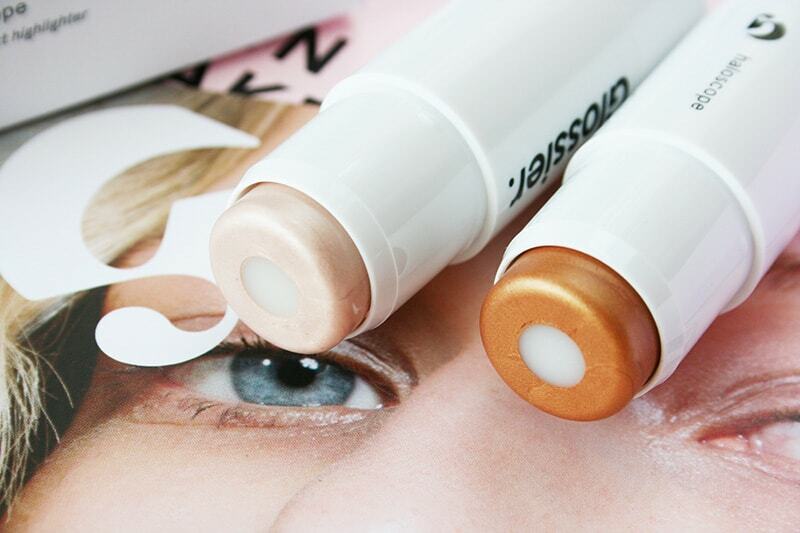 It’s a beautiful highlighter that’s quick and easy to use, creamy, and has no glitter. You can use it on your cheekbones, inner eye corners, cupid’s bow, nose, or anywhere you want to highlight. It also looks really pretty on the eyelids. 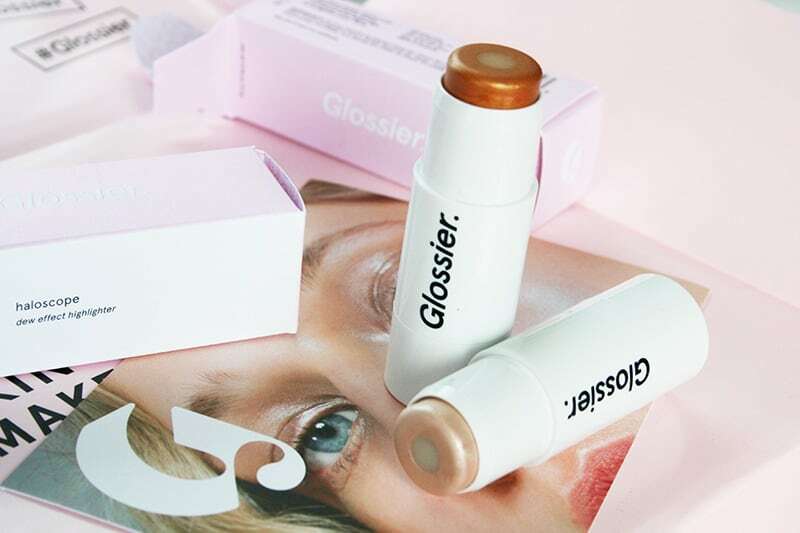 It’s perfect to get your glow on when you’re in a hurry, and you should definitely check out Glossier if you’re into a natural and low-maintenance yet polished look. You can buy it from Glossier.com. Comment on this post and tell me which shade is your favorite. Please note that this giveaway is US-only! Just use Rafflecopter and follow the instructions for each step. I love the Quartz shade – may have to get that soon! omg I love both of these shades but I could see Quartz being a better highlight for me. If the Topaz wasn’t so glittery I might consider using it as a bronzer, as well. Quartz is a beautiful shade! The Quartz is gorgeous! 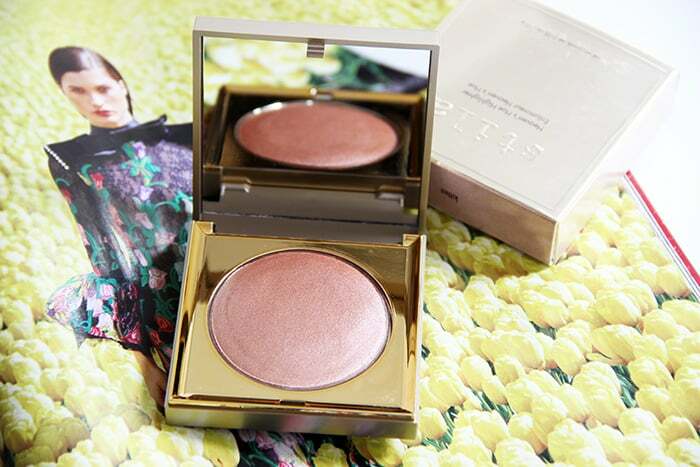 That is the best summer shimmer! What an awesome giveaway. They sell out so fast! The Quartz is so pretty and elegant! OMG I’m so obsessed with the quartz! I love that it uses real crystals! Thank you so much for sharing these! Quartz has my vote. It’s lovely. Plus, you’re right, the packaging is adorable. The three eyed smiling faces reminds me of the wee aliens in Toy Story. I think Quartz is really cute! It’s nice and bright! The Quartz looks like the perfect summer sparkle! Topaz is perfect for my skin tone. I am finally getting really into makeup and I have been looking for a highlighter to try! The Topaz is definitely for me!! Really hope I have a chance to get it!! The Quartz is my favorite. Although both shades look amazing! I love the quartz one! Would look cute as a base highlighter for powder ones, and would be especially nice for on the go. I have fair skin so it would be a great shade! Quartz is where it’s at! Quartz would definitely suit my skin the most! The shine on Quartz is sooo lurvely. They’re both beautiful and a reasonable price for what you get. The Quartz is beautiful!! Seems so versatile! I would die for the Quartz. It’s gorgeous. the quartz is my favorite shade, it looks so light and shimmery! I definitely love Quartz. I feel like it would be goooorgeous!! I think I prefer Topaz because it’s just so gorgeous and unique! I love the quartz!!! It would be great for both day and night & I love all the amazing ingredients! topaz is my favourite. would work best with my skintone. Quarts looks really nice, its my favorite & would really lile to try it. I would probably have to go with Quartz, although Topaz looks so pretty. Do you know how Quartz compares with Benefits Watts Up? Beautiful blog! I always love reading! My favorite is Quartz. In love!! !